Earl's AN Fuel Pump/Power Steering Fittings are available in steel or blue anodized aluminum. 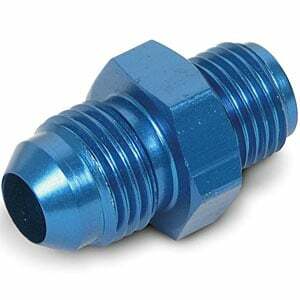 These fittings fit -6AN hose and work great for both fuel pump and power steering applications. 991946 is rated 5.0 out of 5 by 1.